Thomas H. Ballard, 82, Versailles, Mo., passed away on Wednesday, Dec. 13, 2017, at the Good Shepherd Care Center, Versailles, Mo. Thomas Henry Ballard, the son of Mervin D. Ballard and Dorothy E. (Anderson) Ballard was born July 3, 1935. Tom was a graduate of Red Oak High School in Red Oak. He enrolled in the University of Iowa, in Iowa City, earning a B.S. in Biology and a varsity letter in track and field. 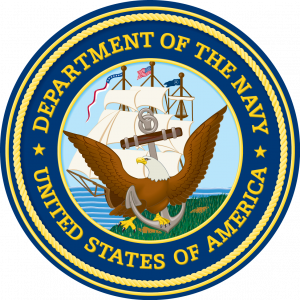 After graduation, Tom entered the U.S. Navy on March 8, 1958. On July 4, 1958, Tom was united in marriage to Carolyn J. Falk of Stanton. Ensign Ballard received his wings at HTG-1, NAS Ellyson Field, Florida on September 9, 1959. Tom served his country as a helicopter pilot for five years. Most of his service was flying a helicopter from an icebreaker in Antarctica. During his time in the Navy, Tom and Carolyn started their family, having daughter Rebecca and son Timothy. With his young family in tow, Tom next received his Doctor of Chiropractic Medicine degree from Lincoln College in Indianapolis, Ind. Following graduation from Lincoln, the Ballard family relocated to Williamsburg to begin Tom’s chiropractic career. For more than 30 years he served the Amana area at the chiropractic clinic that he founded. Over these years, he helped countless patients with medical issues using chiropractic and acupuncture treatments. Following retirement, he and Carolyn relocated to Versailles. Throughout his life, Tom was active in his community and enjoyed sports and many outdoor activities including camping, bow hunting, fishing, biking, snowmobiling, and cross-country skiing. Friendly and thoughtful, he enjoyed spending time with family and friends. Tom is survived by his wife of 59 years, Carolyn Ballard of Versailles; a daughter and family, Rebecca J. Ballard and Tony Gambino of Gravois Mills, Mo. ; grandchildren, Angela Gambino and Melissa Osborne of Chicago, Ill.; and Tony Gambino II of Albuquerque, N.M.; great grandchildren, Mallorie, Michael, Talen and Olive; Tom’s son and his family, Timothy and Leslie Ballard and grandchildren, Nathan H. and Sarah K. Ballard, all of Portland, Ore.; Tom’s sister and her family, Judith and Peter VanBramer and their children, Wendy VanBramer of Thailand and Dennis VanBramer of Sturgeon Bay, Wis.; Tom’s brother and his family, Dennis and Rita Ballard of Sturgeon, Mo., and their children, Thomas Mark Ballard of Columbia, Mo. ; Carey Ballard of Ridgeway, Colo.; and Michael Scott Ballard of Gainesville, Ga.
Celebration of Life Service will be Saturday, June 16, 2018, at 10:30 a.m. at Sellergren-Lindell-DeMarce Funeral Home. Burial of cremated remains will be in Evergreen Cemetery, Red Oak. Sellergen-Lindell-DeMarce Funeral Home is in charge of arrangements.